A fine homemade recording from 1906, In the Shade of the Old Apple Tree banjo medley as played by G. W. Kennedy. Announcement "Banjo medley, played by G. W. Kennedy." 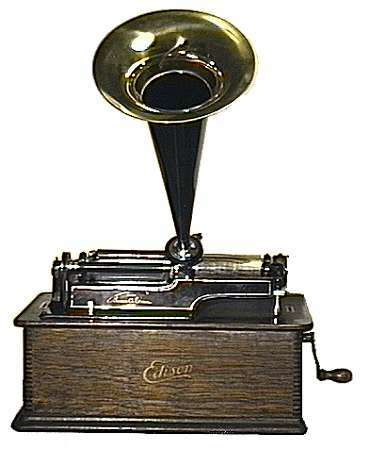 One of the great features of the early cylinder phonographs was their ability to be easily converted from a record player into a record maker. All the operator needed to do was switch the reproducer with a record-cutting accessory called "the recorder", put on a blank brown wax cylinder, and you were ready to record. Making home recordings had a magical appeal, and much like today's home audio or video recordings, people would record nearly anything and everything domestic: voices of loved ones, babies crying, people laughing, "letters" to friends and family. But most commonly, people loved to perform musically. Most homemade musical records tended to mimic the commercial recordings of the day, and as you can imagine are of widely varying quality. Perhaps fortunately, less-than-perfect recordings were often shaved  removing the recording  allowing the performer to "try, try again". 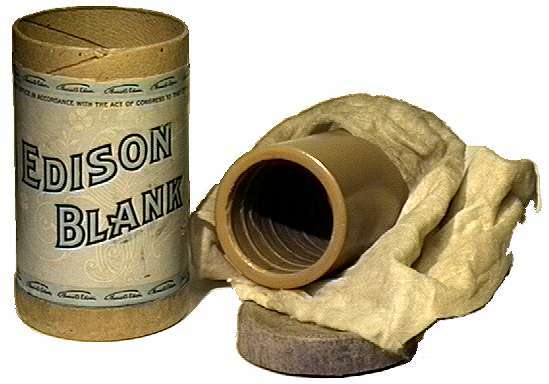 However, as this month's cylinder of the month illustrates, without question cylinder home recordings represent a treasure of audio time capsules: preserving sounds, styles, and expressions that might otherwise be lost. Here, Mr. G. W. Kennedy performs an inventive banjo medley and concludes by identifying the recording as "made in Oregon, five, twenty-six, 'o'-six". To hear a vocal quartette version of In the Shade of the Old Apple Tree, see the February 1999 Cylinder of Month. Wax Cylinder Recording at Home courtesy of The Wolverine Antique Music Society. Home recordings courtesy of Patrick Feaster's Phonozoic. Weird Records courtesy of Tim Stamps.